Conyers, GA — Nov 13, 2011 — The 10th Annual Barry Lane Memorial Jumper Classic kicked off the action of the Atlanta Fall Classics at the Georgia International Horse Park. “This is always a personal event to the horse show staff. Barry Lane was not only a great supporter of the Atlanta events, but a dear friend to many of us. We all feel her presence here and hope she’s enjoying this class,” Bob Bell, President of Classic Company, said. This year’s Jumper Classic boasted 59 entries. 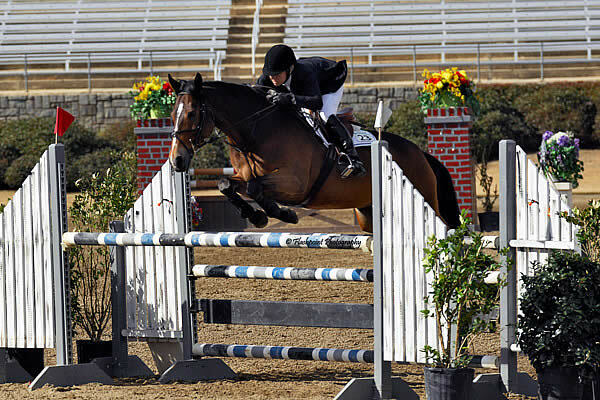 Conyers, GA — October 27, 2010 — Excitement is building as once again the Atlanta Fall Classics will play host to both the USHJA Zone 4 Finals and the National Hunter Jumper League Finals at the Georgia International Horse Park November 10th through 21st. “These two big events are always a great way to end our show season, but there are so many other special classes occurring during our year end finale, such as the $25,000 Barry Lane Memorial, the Silver Cup Equitation Championship, and new classes too!” Classic Company Bob Bell shared.